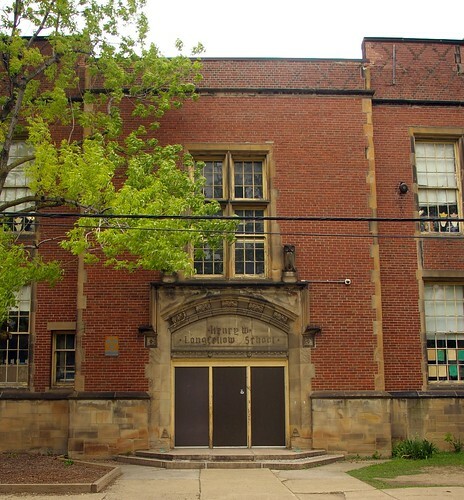 A little while ago, I published a photo essay illustrating the 25 schools that the Cleveland Metropolitan School District (CMSD)wants to demolish. Five of these schools will be rebuilt on the existing sites. But the other twenty will just become vacant land, which the CMSD believes will be more attractive to buyers. I would hope we would have learned from our downtown that when land is vacated to become more attractive to developers, it often just stays vacant. Some of the buildings are deep in residential neighborhoods. For these, reuse proposals must take into account their surroundings - perhaps they'd be appropriate for artist lofts or light commercial space, as has been done with the Hodge School and Murray Hill School. 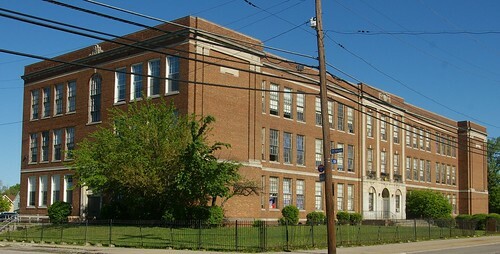 Some, however, are on major commercial arteries, such as the Willson School, shown above, on East 55th Street. Some that fit this description are South High, on Broadway; East High, on Superior at East 79th; Miles, on Miles Avenue; and Mount Pleasant, on Union. These buildings might be repurposed as commercial structures. How can this be done, if these buildings are too expensive to renovate as public schools? Quite simply, the standards required for commercial structures are much lower than those required of schools. We're tearing down a lot of buildings right now. Some are in such condition that they ought to be torn down. Many of these still have lots of great architectural detail that could be saved - but it isn't being saved - it's being bulldozed and destroyed. Architectural salvage, on the most basic level, required little initial capital. 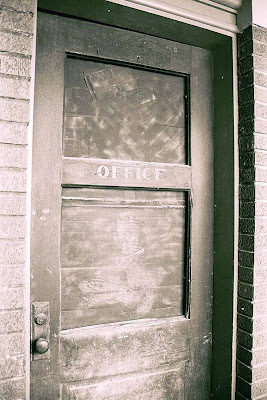 There's a market for the doors, trim, and other interior fixtures in these buildings. Yes, there are some stores on Lorain Avenue, on the west side, that deal with such materials. Their prices tend to be expensive - a couple hundred dollars for an interior door - prices that are outside the reach of most people. There's also the Habitat for Humanity ReStore, but they don't tend to have that much material in stock and it, too, is on the west side. We might learn a lot from Buffalo ReUse, a salvage operation in Buffalo, New York. 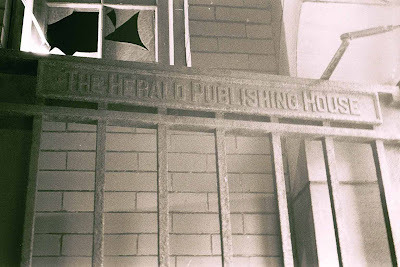 I've visited their salvage yard and followed the great stuff that continues to come through their doors on Flickr. At any given time, they have two or three times as much material in stock as in all the stores in Cleveland put together. Their prices tend to be close to what a big box store charges for the cheapest version of a similar item - solid wood interior doors sell for $25-50, for instance. At prices like this, the material moves quickly. 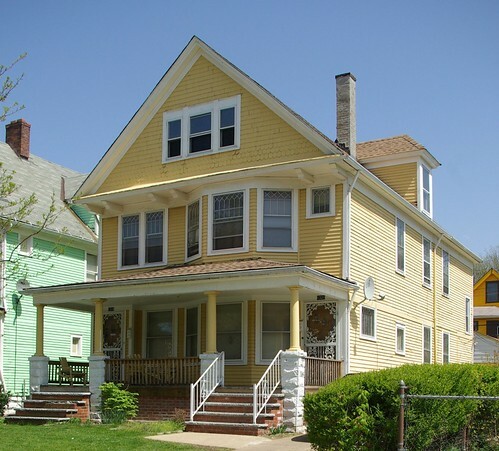 As a result, average people are able to maintain and repair their homes, keeping up the aesthetic and historic quality of their neighborhoods. A program like this would be an excellent use for one of the schools that is to be closed. A structure like of one of these schools would allow for organization of materials by type and size, and, as many of the schools in question are on the east side, it would be closer to a largely unserved market. In the current fiscal situation, it doesn't make sense to keep destroying building materials for which there exists a strong market. If we're not going to fix up these houses or schools, the least we can do is to repurpose their materials elsewhere. 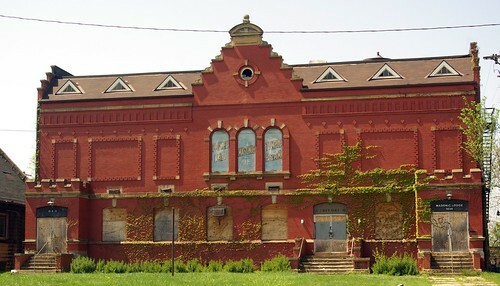 This brick masonic hall, at 1624 East 55th Street, Cleveland, Ohio, was destroyed by fire on Wednesday. It was a Cleveland Landmark. Demolition began on Thursday. According to this Plain Dealer article, the fire has been ruled arson. 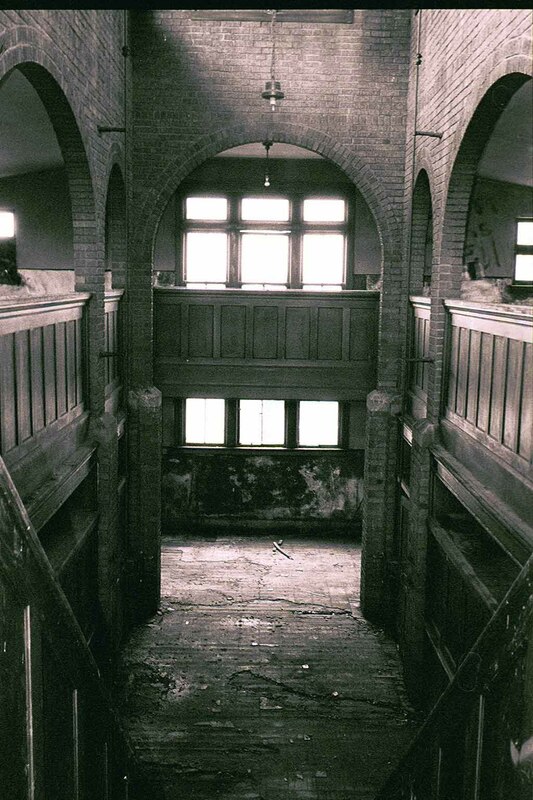 The structure was built 1907 as the Pythian Castle, for another group. The architect was Frederic William Striebinger. Another notable building by the architect is the the Second Church of Christ, Scientst on Euclid Avenue. It served as a B'nai B'rith lodge from 1912 through the 1940s. 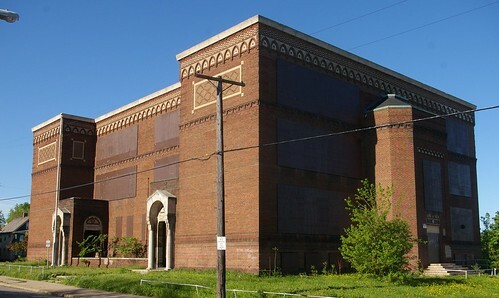 This period of the structure's ownership is detailed on Cleveland Jewish History. 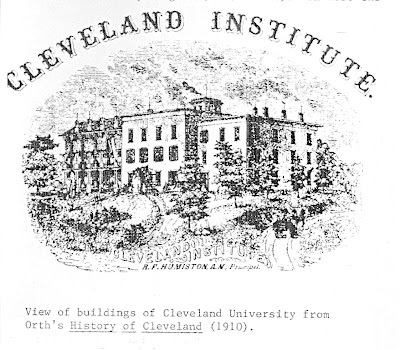 Cleveland Area History (www.clevelandareahistory.com) is a blog dedicated to engaging readers with those people, places, and events that tell the story of Cleveland and Northeast Ohio. With emphasis on the word “engaging." We believe that local history is the next natural offshoot of the locavore movement. In other words, eat local, buy local, know local! Industry - steel, auto manufacturing, etc. 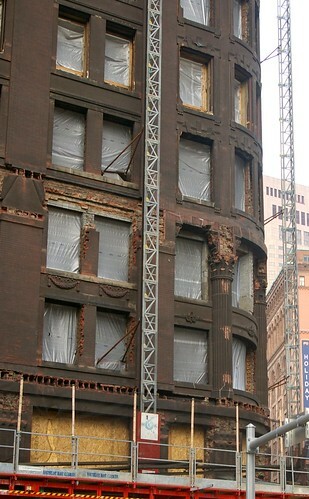 Ideal posts will make Clevelanders think deeply and reflectively about their city, region, and heritage. Readers might say, “Hmm. I never knew that. Cleveland is a more interesting place than I thought!” It is also important that our contributors don't limit themselves to writing only about the "positive" aspects of Cleveland history. We believe that our city and region need to explore the less savory parts of our past, such as racial tensions and white flight, in order to move forward. For all intents and purposes, we define the "Cleveland area" as Cuyahoga County, with occasional exceptions made for neighboring counties that were part of the historic Western Reserve. In general, for our purposes, anything prior to 1995 can be considered historical. 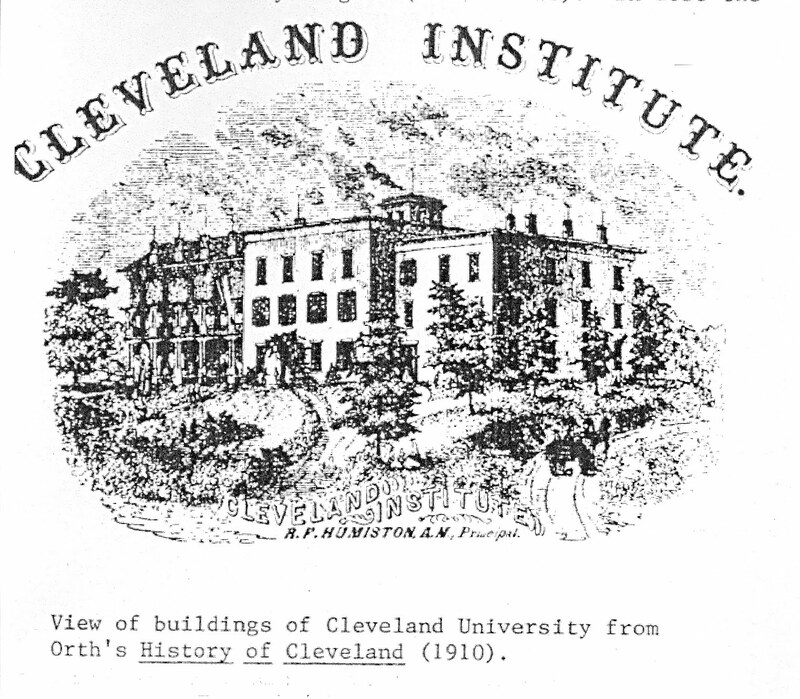 We’re not looking for marketing-speak or blatant civic boosterism; occasional opinion pieces are generally fine, but they should demonstrate knowledge of themes in local history, not just trumpet the virtues of Cleveland and environs. We’re also not looking for a lot of nostalgia or personal memories without historical research or historical perspective attached, although the occasional oral history is acceptable. You don’t have to be an academic, but you should be an excellent writer who knows the ins and outs of local history research, and the importance of citing your sources. You should be someone who is fascinated with what makes a place unique. You should also be familiar with the basics of blogging, and should be able to express your point succinctly. (Again, ideal post length is 500 words or less.) We like pithy, witty, and punchy (when appropriate); we want to be hooked by your writing, not put to sleep by it. We encourage you to use high-quality original images when possible. We also highly encourage the creative use of YouTube, Flickr, Google Maps, etc. We especially want to provide an opportunity for librarians, archivists, and library school students to show off their research prowess. Please include “Call for Contributors” in the subject line of your email. We regret that we cannot offer payment. 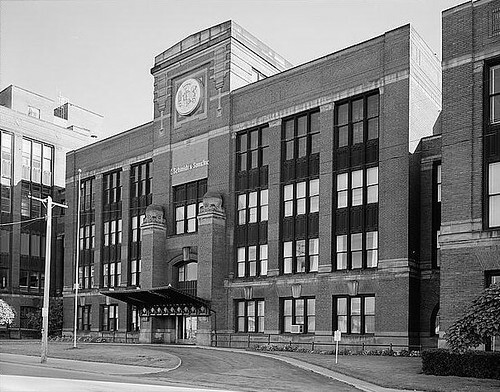 The population of the city of Cleveland has declined considerably from its peak, and as a result, they simply do not need as many school buildings as they used to. Which specific schools were chosen is an issue best addressed elsewhere by those more familiar with the issue. According to Mr. Ott's article, five of the schools will be rebuilt on the existing sites. 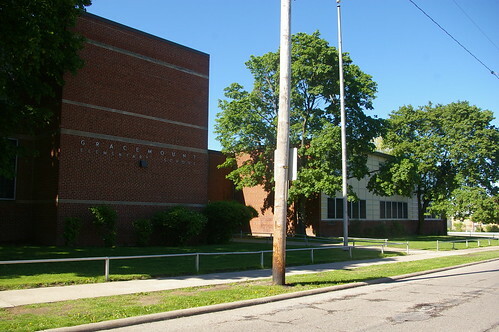 These include the Cleveland School of the Arts, Dunbar, and Orchard. The remaning 20 lots will likely be offered for sale. There are also several surplus buildings Mr. Ott identifies that will be offered for sale as-is. I will address those structures in a future article. In the past couple days, I've photographed most of the schools on the list. I hope that this provides some idea as to the visual character of the properties that our community will be losing. Those I've been unable to photograph, I've linked to photographs elsewhere. The architects responsible for the strucures have been noted, when possible. 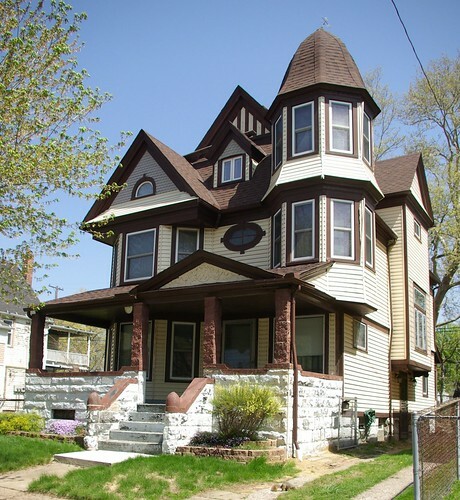 It is also noted when a structure is a Cleveland Landmark, or if a structure has been nominated for Landmark status and the application is pending. Built 1928. George Martin Hopkinson, architect. This school has some truly wonderful architectural detail. It seems a true shame that it hasn't been maintained, and that it hasn't been properly secured, allowing further damage to occur to the property. Built 1916. Walter McCornack, architect. Built 1927. George Martin Hopkinson, architect. 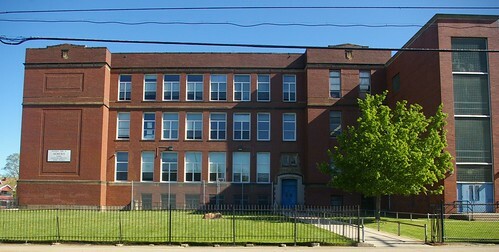 The terra cotta on this building is some of the most impressive architectural detail on any of the Cleveland schools. It is also home to one of my favorite pieces of public art in Cleveland, this 1998 mural by Mark Howard. Here are more photos of the structure. This is one of the schools that will be rebuilt. This school, while not as ornate as some, still has good lines. It has a main entrance on Linn Drive. Built 1912. Third floor added 1918. Rear wing added 1971. This is another school that, while likely in poor condition, has suffered due to a failure to secure the property. 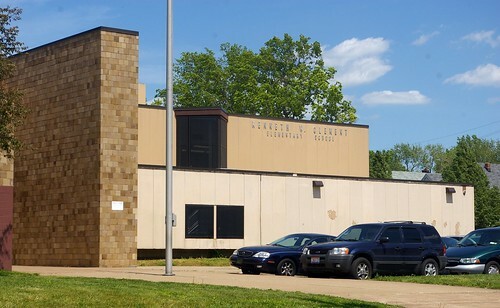 This includes both the original building, and the 1971 addition. Built 1913. Frank Seymour Barnum, architect. Third story addition, 1918. Walter McCornack, architect. Mount Pleasant features an interesting, if perhaps not quite so grand as some others, entrance facing East 116th Street. It also includes a later brick addition. 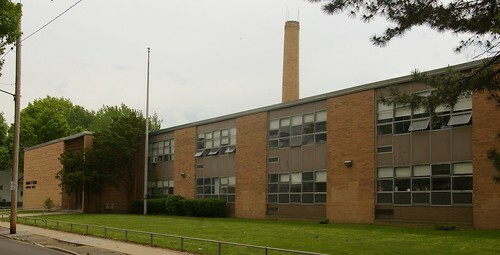 Orchard was one of several schools built quickly and to a low standard during the 1960s. It is set to be replaced by a new building. I hope, at the very least, that the wrought iron fence designed by artist Brinsley Tyrrell, which surrounds the playground and garden, can be saved. Dunbar, also built during the 1960s, has suffered similar structural issues to Orchard. It is also set to be rebuilt. Built 1921. Hubbell and Benes, architects. This structure, built for National Malleable Castings, served as an administration center for a time. 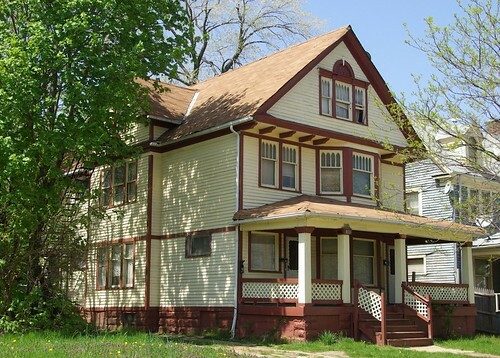 It has long been vacant and is in deteriorated condition. 3055 Martin Luther King, Jr. Drive. Built 1922. Walter McCornack, architect. This school features Gothic revival details, including around the doorways. 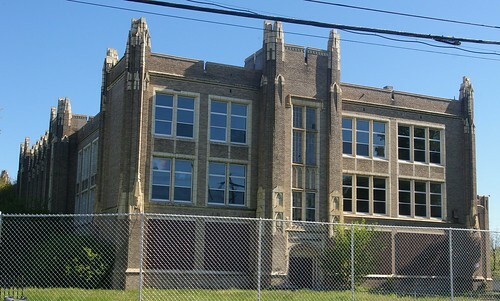 Built 1915. Walter McCornack, architect. Councilman Michael Polensek called this structure "A magnificent building." He added that "It's one of the true gems in the system." It posesses significant architectural detail. Built 1924. Walter McCornack, architect. 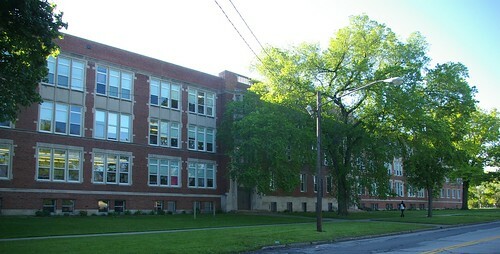 This school, with its heavily wooded front lawn, faces East 140th Street. The owls over the doorway look out onto the sidestreets. The rear wing and smokestack are especially impressive. 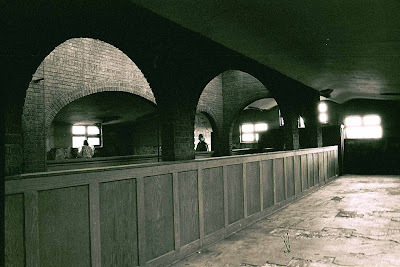 This school, with its arched doorways is both a community and city landmark. 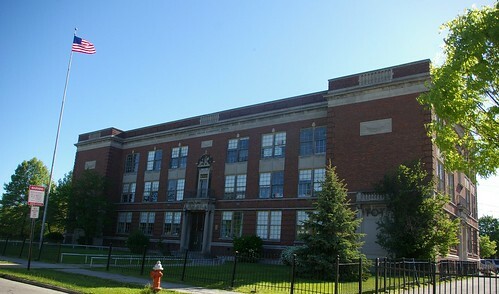 Built 1929. George M. Hopkinson, architect. 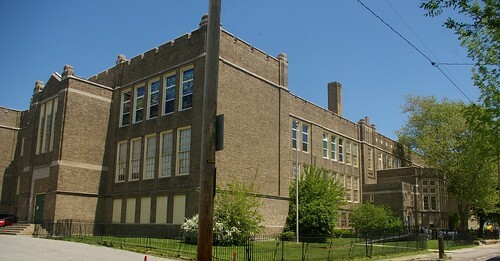 This school, in the Mount Pleasant neighborhood, appears on the exterior to be in good condition. A later addition shares some detail with the original. Built 1906. Frank S. Barnum, architect. The unused section that is referred to here is the entire old wing. This would be especially difficult to repurpose as it is physically attached to the school building. I've elected to use this historical image as vegetation makes it difficult to see the school right now. 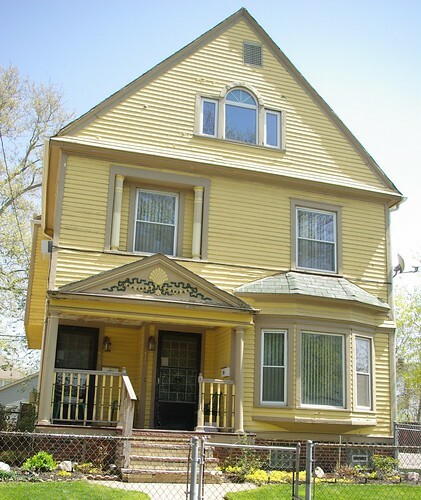 Built 1903. Frank S. Barnum, architect. Willson was named for the street it faced, before the 1905 renaming changed it to East 55th Street. 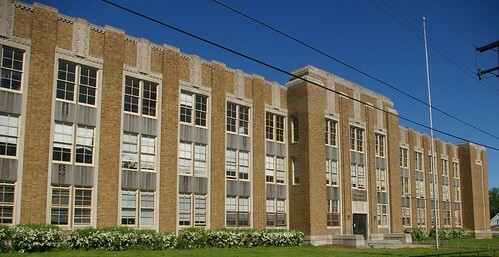 Built 1932. George Martin Hopkinson, architect. Albert Hart is one of my personal favorite structures on the demolition list. The art deco details around the main entrance are especially noteworthy. Also of interest are the metal panels between floors separating the windows. The Forest Hill Parkway campus features two round buildings overlooking a massive expanse of green. It appears to be a well designed structure, one that could be repurposed by another party that wanted to take advantage of the great location. The most notable feature of Gracemount is this multi-colored glass block wall. John W. Raper is the only one of these schools that I've been inside. 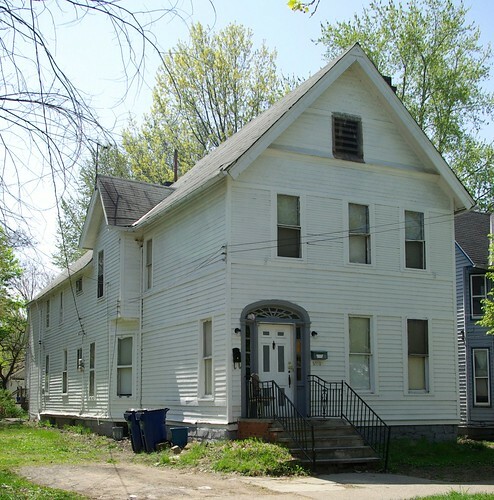 While possessing limited architectural detail, it appears to be a solid structure that might be easily reused by another party. This structure may likely have similar issues to some of the other structures erected by the CMSD in the 1960s. Built 1904. Frank Seymour Barnum, architect. This school was built on the site of a prehistoric earthwork, which I covered a while back. This structure, as work of the time goes, isn't that bad. Further, it's on a 13 acre site, which ought to be quite an asset. This school is an interesting structure. 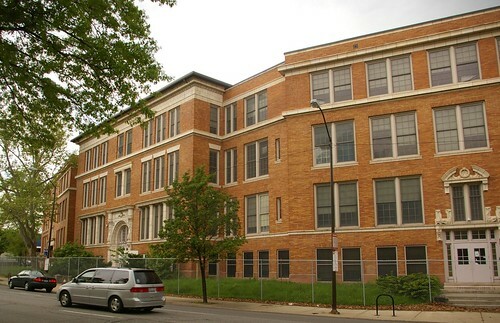 As with East High, one of the big advantages of South High is large lot that it was built on. 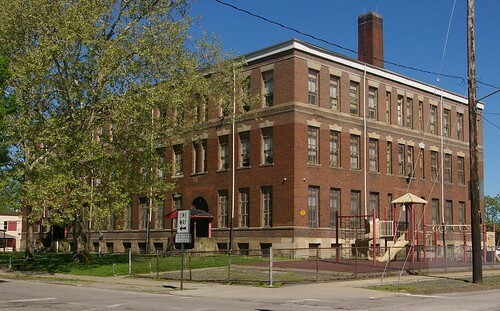 It is hard to fault the Cleveland Metropolitan School District for demolishing the schools that are to be rebuilt. The state requires that if the estimated rehabilitation cost exceeds 75% of the cost of new construction, that a new building must be built. 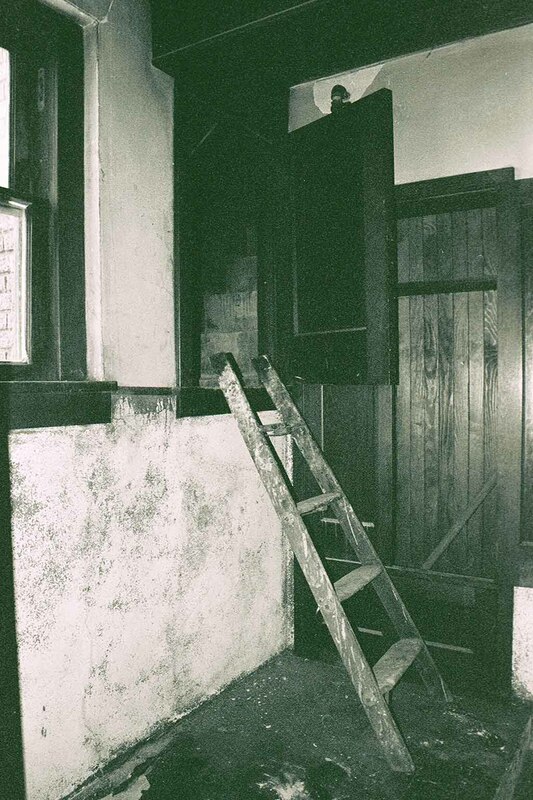 This is because, as you surely know if you've ever fixed up an old building, costs are always higher than estimated. The school is in a difficult financial situation, and can't afford to give up the state portion of the funding for these projects. If we find this to be problematic, we need to work for change at the state level. For the 20 schools that will not be rebuilt, the CMSD will spend $4.2 million dollars on demolition, about a third of the cost. The state will pay for the other two thirds. This works out to $210,000 per school. Many of the schools need considerable work to be safe and healthy learning environments. I don't dispute that. As these assessments show, many of them haven't received the maintenance that they need for years. However, there are many ways that they could be reused that don't require the expense that the state sets for new learning environments. 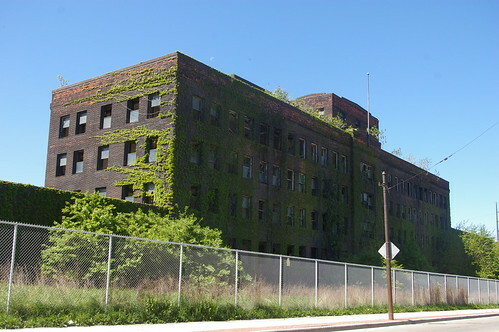 CMSD Chief Operating Officer Patrick Zohn has stated that the buildings will be demolished so that they don't become eyesores and so that the land can be redeveloped. Have we not learned this lesson from our downtown, where parcels were assembled for redevelopment, only to end up as surface parking? Even if the district has to spend $150,000 on each of these buildings to get someone to take it, they still come out ahead. Further, at the very least, there needs to be a comprehensive architectural salvage plan. Many of these buildings posess great exterior detail. 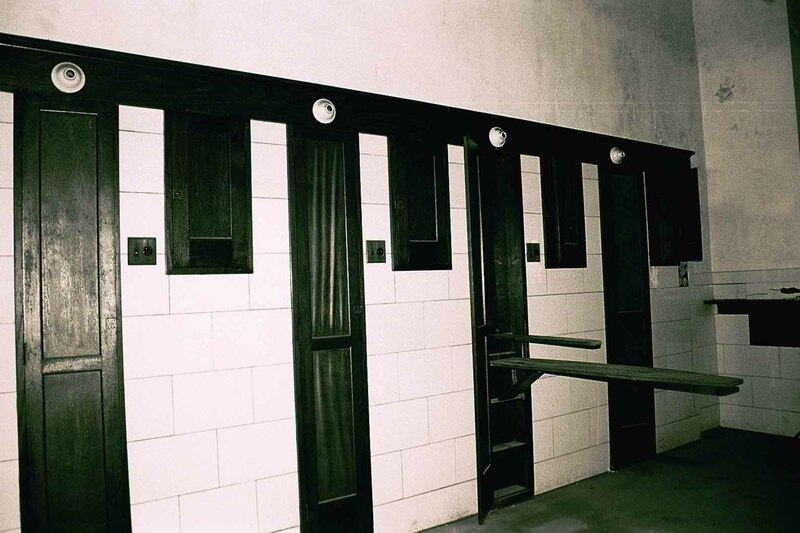 Further, due to the lack of maintenance, they have often retained many of the original interior fixtures - this includes marble-lined bathrooms in several of the schools. 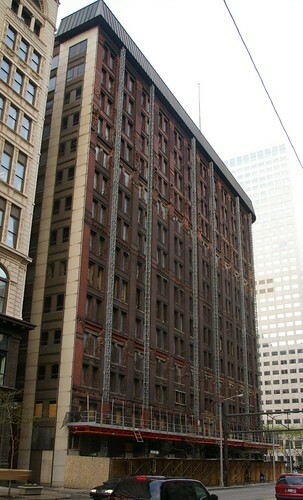 Salvaging the material and reselling it, likely through a third party, would offset the cost of the demolition. There are plenty of great buildings here, buildings that could be reused in any number of ways. Later in the week, I'll address one of these. We can't simply assume that the best use of these properties is as vacant land. Some probably are too far gone to be useful. This doesn't mean, however, that they should all be bulldozed without a good faith effort being made to find new owners for them. By now, you've probably heard about the new Cuyahoga County Juvenile Justice Center, under construction at the southeast corner of Quincy Avenue and East 93rd Street, in the Fairfax neighborhood of Cleveland. Little has been said, however, about the previous uses of the site. In 1906, the Peerless Motor Car Company, one of the finest manufacturers of automobiles in the country, built a factory on this site. Architect J. Milon Dyer designed the factory. Dyer was also responsible for the Cleveland Coast Guard Station, the Cleveland City Hall, the Tavern Club, and the Brown-Hoist building. The factory, seen here in an early 20th century view, stretched all the way to Woodland Avenue. While the portions of the factory between Quincy and the train tracks have been demolished, some structures remain between the tracks and Woodland. 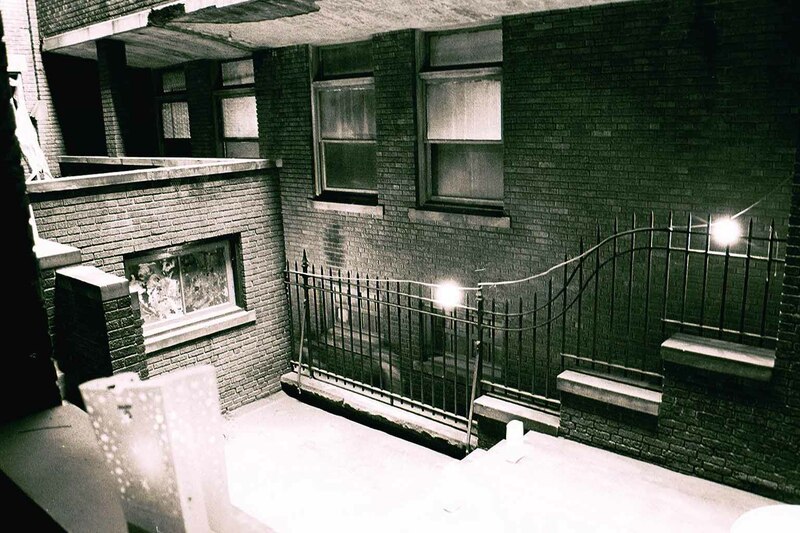 The following photographs, created by the Historic American Buildings Survey, illustrate the history of this complex. 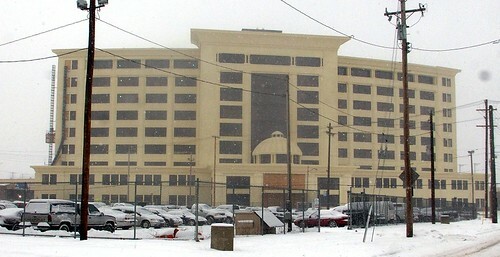 The factory's office building, shown here, faced Quincy Avenue. Dyer's work on the structure received considerable praise. Its "front of attractive design" showed the influence of Frank Lloyd Wright in its geometric stone ornament and globe-capped pylons and of the Art Nouveau in its metal and glass entrance canopy and doors. 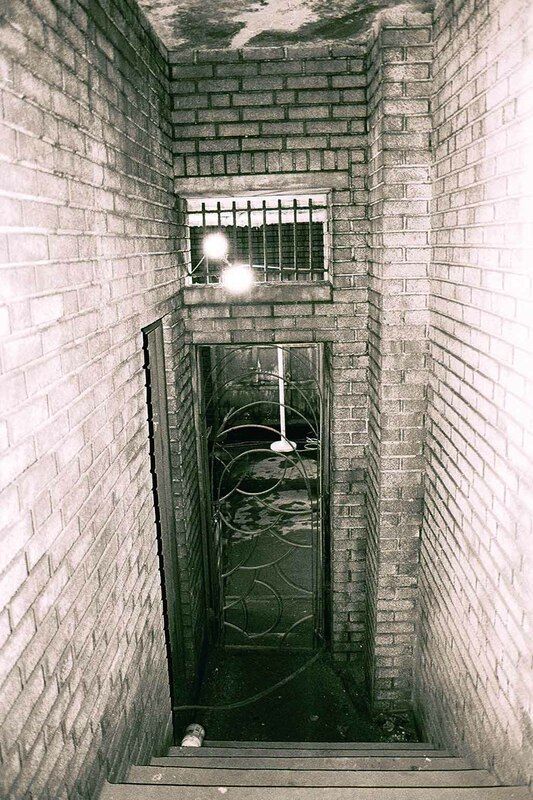 Architecturally, the office building was "25 years ahead of its day." The aesthetic quality continued to the interior. 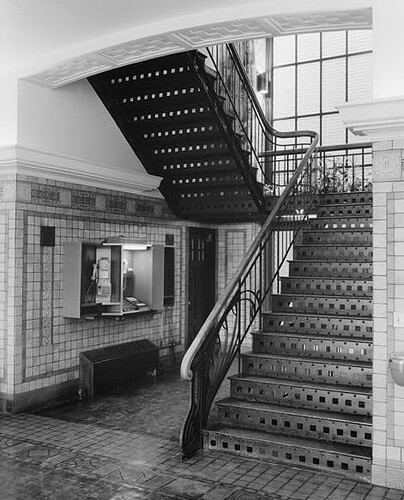 The Art Nouveau influence is especially visible in the railing on this set of stairs. In 1931 Peerless closed its business, unable to find a market for luxury cars during the depression. The business was reorganized and eventually became the Carling Brewing Company. The automobile factory was repurposed as a brewery, which operated until 1971. C. Schmidt & Sons, purchased the brewery and ran its operations from the plant from 1972-84. Most of the complex was demolished in the late 1980s or early 1990s. 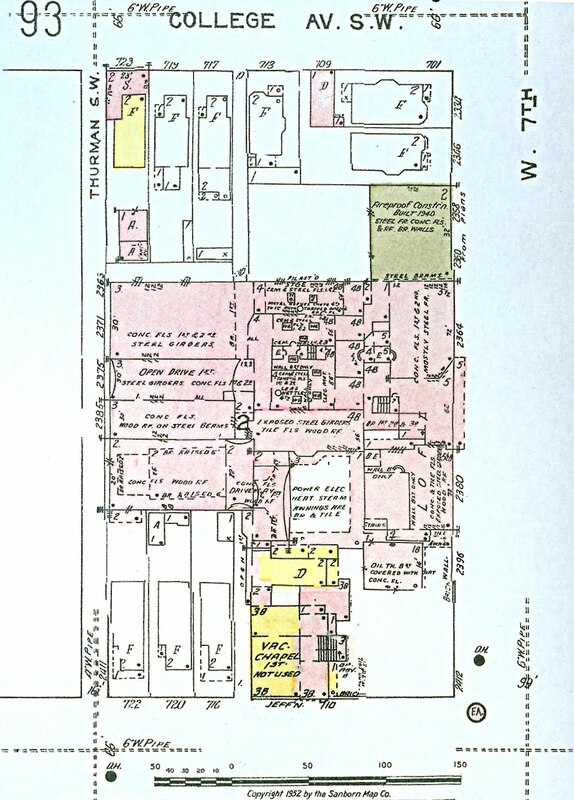 The Historic American Buildgs Survey has two sets of documentation regarding the factory. 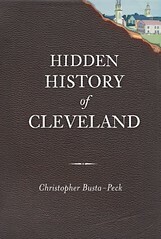 Their documentation addresses the history of the structure and of the Peerless operations in Cleveland in detail.